According to the commonly held view, early Christianity was a time of great harmony, and heresy emerged only at a later stage. 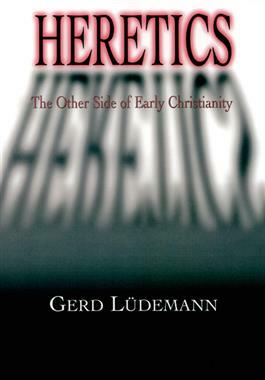 To the contrary, Gerd Ludemann argues that the time from the first Christian communities to the end of the second century was defined by struggle by various groups for doctrinal authority. Drawing on a wealth of data, he asserts that the losers in this struggle actually represented Christianity in its more authentic, original form. Orthodoxy has been defined by the victors in this struggle and it is they who subsequently silenced alternative views and labeled them heretical. Ludemann's findings are important as well as liberating for the understanding of both Christianity and the Bible. Readers will gain a new understanding of Jesus and the early church from this compelling and controversial book.